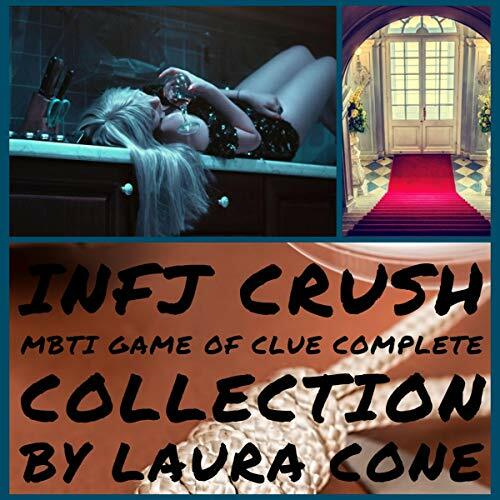 Author Laura Cone, an INFJ personality type, opens the door to the Tudor Mansion to play MBTI game of Clue. The MBTI Game of Clue collection includes all 7 in the series: Bagua Map to Love, Who Killed INFJ Girl?, INFJ Door Slam, INFJ Stare, INFJ Solitude, INFJ as Demisexual, and INFJ Mask. Our INFJ girl has a crush on the King of Cups, a mysterious ESFJ visitor who pulls into the mansion's circular drive in his black Camaro. Professor Plum, an INTJ, plays the piano in the ballroom as Miss Scarlet, Mr. Green, and the others put together the clues about this electrifying INFJ-ESFJ crush.